When they’re ready, word begins to spread through the family. 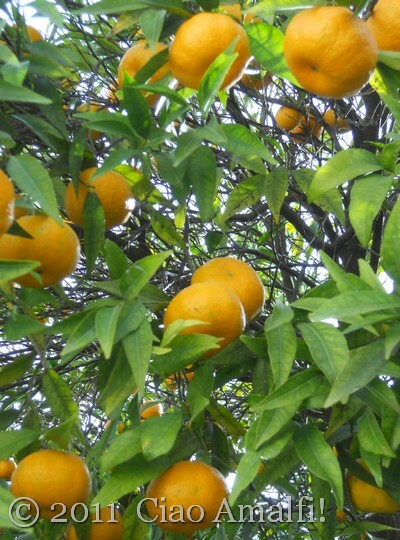 The mandarini—mandarin oranges—are ready! 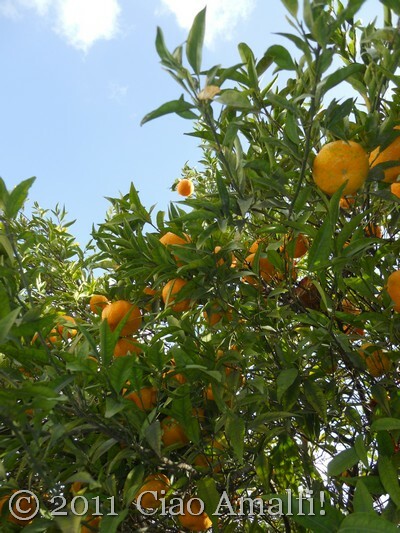 This is a moment I wait for eagerly each December, when the mandarins are ready to be picked in Vettica. If you’ve traveled around the Amalfi Coast, or small towns most anywhere in Italy, you’ve likely discovered that many towns have frazioni, or hamlets, that are separate from the town center but are still considered, at least administratively, part of a larger town. Amalfi has several hamlets, including the area called Vettica west town. 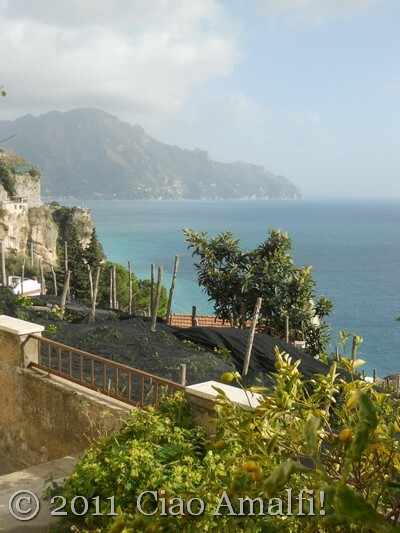 The views looking back toward Amalfi are stunning from Vettica. We took a chance yesterday morning when the sun had peeked out from behind the clouds after a few rainy days to go and pick some mandarins. It was a beautiful morning to be surrounded by the delicious scent of oranges! There were so many! 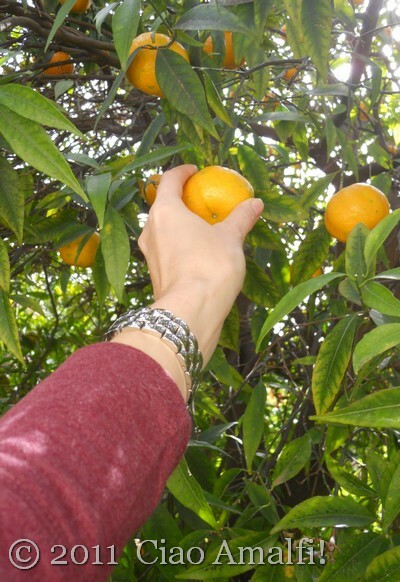 I picked and picked and picked, filling a large bag with the fresh mandarin oranges. After a little while I smelled completely like oranges! Of course, I had to eat the ones I broke by mistake while picking. Such a lovely chore! I picked more than usual this year, because I plan to make Michelle Fabio’s mandarin jam recipe, which you can find here with the super cute title When Life Gives you Mandarins, Make Mandarin Jam. 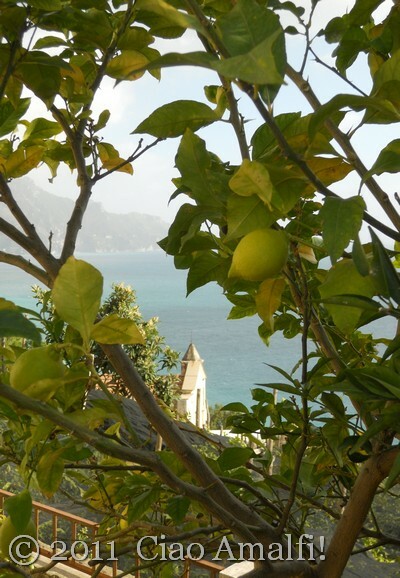 I also want to make limoncello and mandarincello this year, which are two very traditional liqueurs made on the Amalfi Coast. Yum! The lemons, which you can see above growing in Vettica, are not quite ripe yet. However, this is the best time of year to pick lemons for limoncello, while they are still a bit green and the rinds have the most intense lemon flavor. I’ve got a big pile of lemons waiting for limoncello in the kitchen, which simply makes me smile. A sweet moment of winter life on the Amalfi Coast! Yum! Ours in Positano aren’t quite ripe yet. Keep the rinds for the jam. I mix them in with the orange juice to make a different flavoured citrus marmalade. It smells wonderful while it’s cooking! I LOVE mandarine jam!!! How beautiful!! I want to smell like citrus! Thank you for sharing. Thanks for stopping by and for your comment, Lauren! Hello Laura, Each Friday I so look forward to your new post. I wish I was there to see this time of year.I can also almost smell them. We spent 4 weeks in May in Praiano. But we want to see a different time of year so we will be there in Sept 8th for 5 weeks, in Praiano as always. I hope we will get to take you to lunch as that has not been possible yet. My heart is on the Amalfi Coast always. Sher, from Iowa, Now Florida. Ciao Sharron! 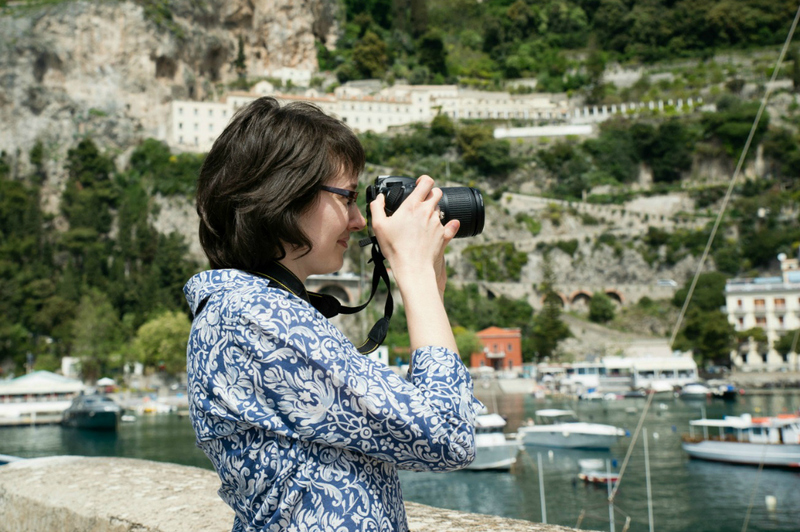 I would love to meet up during one of your visits to the Amalfi Coast. You’ll LOVE September here … and with 5 weeks you’ll really be able to relax and enjoy the Amalfi Coast. Is it September yet????? 🙂 Happy holidays to you! You are sooo lucky to get to pick these little gems-last night I made my limoncello cheesecake and I like to decorate the top with mandarin oranges, and then I snack on the rest….but of course, these are canned not FRESH!! They said it could;t happen but i picked lemons and figs right from the tree on my journey to Amalfi Coast, Sorrentine Peninsula and Calabria late October and November. I was one happy camper.